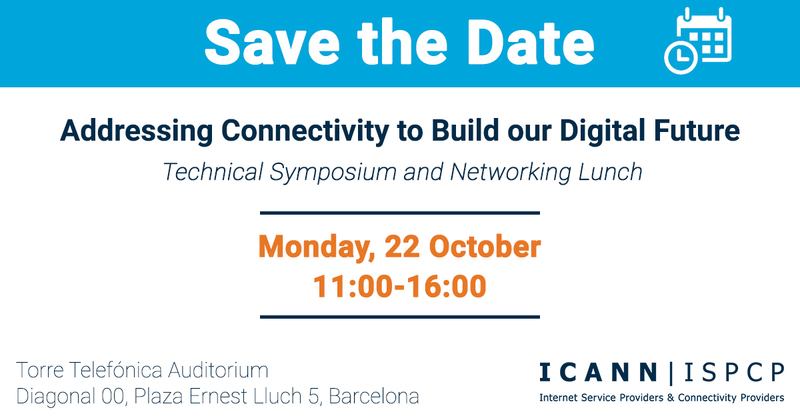 For more information about this event, visit, https://www.ispcp.info/ICANN63-ispcp-outreach. Kindly register at http://input.icann.org/go?iv=1iay6plqw3fz8 by 15 October 2018. Interested? Questions? Contact ISPCP Secretariat.